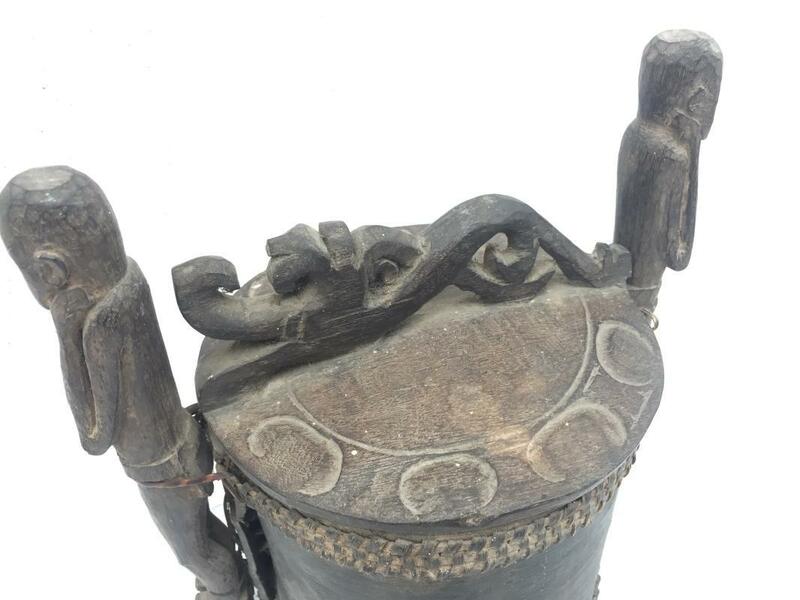 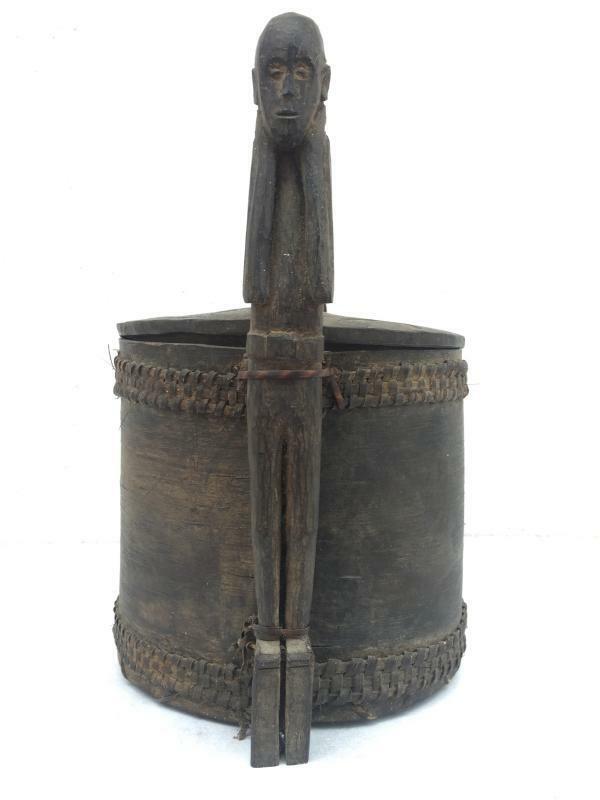 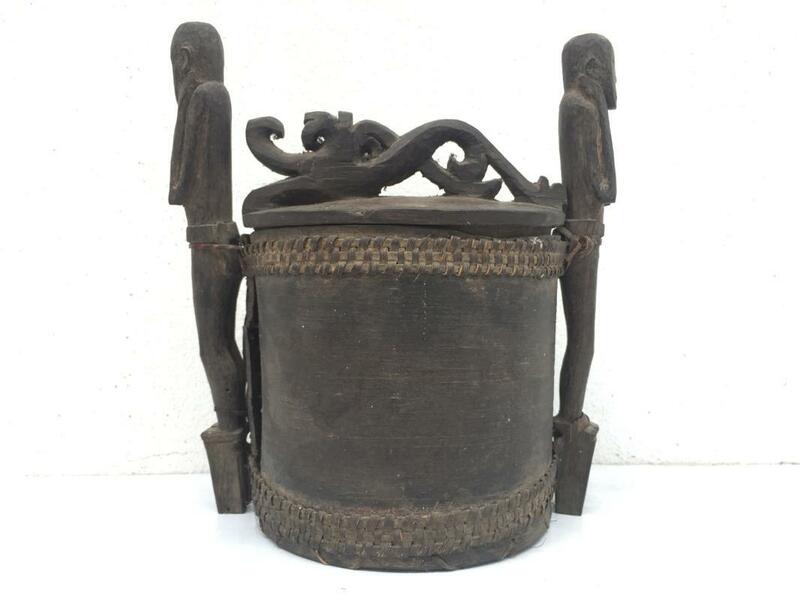 An antique Lupong container from the Iban people of Sarawak Borneo, the body made of natural tree bark/skin whereas the two Guardian Poles are carved from Belian / Ironwood. 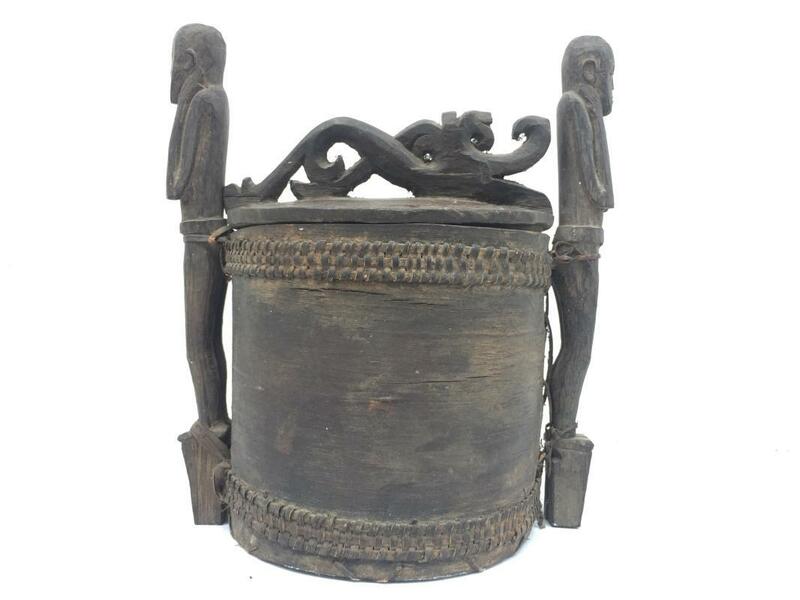 More beautiful in real life, a must have for serious collectors! 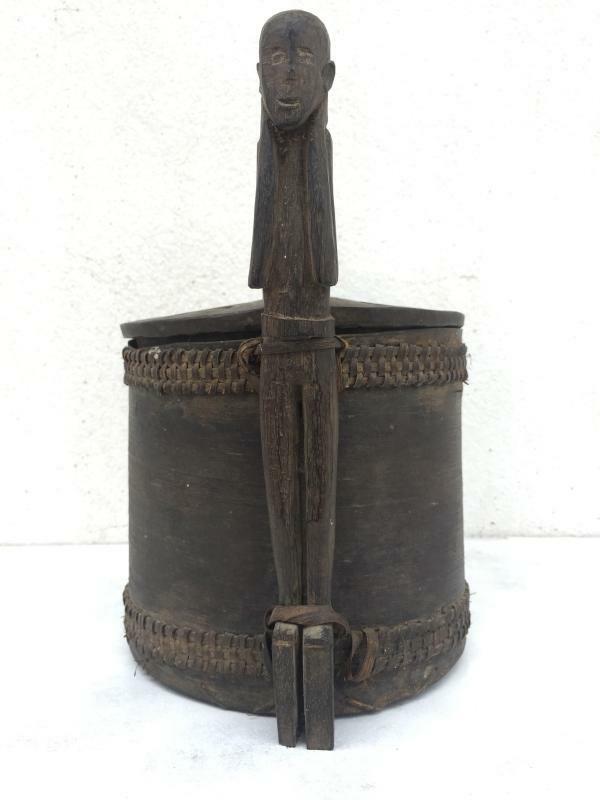 Circa 1940, good condition. 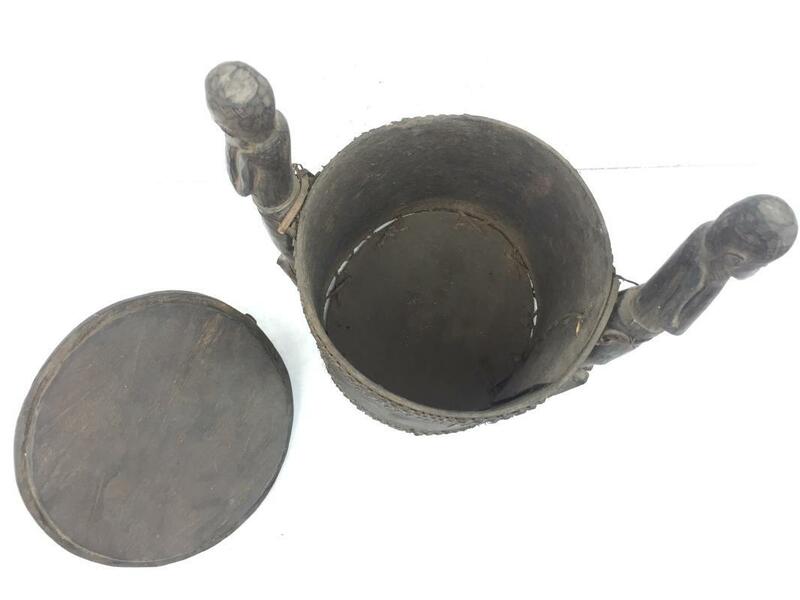 Good used condition, as shown.